This year I've definitely discovered my own style, and it was almost by accident. You see I made a resolution last January to sort out my wardrobe...that quote above was me! I had that terrible, spoilt problem of having nothing to wear despite having two wardrobes stuffed to the max with clothes. Shameful right? Nearly everything I had was bought because it was cheap or on sale, a trend for about five minutes or an impulse buy bought as a quick pick me up, all worn only a handful of times because of the terrible quality or because I simply felt like I was trying to be someone else. I decided it was time to go back to basics and throughout the year have built up a solid collection of simple staples that have, as it turns out, ended up becoming my perfect wardrobe. I was careful in picking things only in the fabrics and cuts that I like and suit me and it was definitely worth giving up on the fast fashion for a while because they've all proved to be worthy investment pieces (and by 'investment' pieces I don't mean expensive...I've found some wicked gems on the high street through trial and error, I was thinking about doing posts on my favourite places to get the essentials if anyone would be interested?) Some people can get away with crazy outfits or look super trendy without looking try-hard but I just can't...for me, simple and classic is best and I actually love it! For most people basics don't count but I've decided to include them unless they need replacing or I don't own them in the first place. For example, I currently have 7 grey, 6 black and 6 navy sweaters hanging in my wardrobe which is maybe a teeny bit excessive. Even I have to admit there are only so many grey sweaters one needs. So I guess we'll see how it goes! I'm quite looking forward to setting myself a challenge to be honest. Although obviously I had to squeeze in a bit of sale shopping before we hit the 1st of January, I didn't buy much but what I did get was laaaaavely....I'll be showing you soon! What do you think of this concept? Do you reckon you could do it? i made the change to buy more quality clothes and ditch the fast fashion a little while back and i think it's a great idea! i know i'm surrounded by nice clothes at work, but the quality (especially the denim) is so much better and makes me want to save up and get nice pieces that'll last! I really struggle with my style. I know what I want but everything I want is costing $$$! I feel like once I can achieve my own style and afford it my self confidence will become higher. I want to build my wardrobe this year. Wow, love this concept Josie! Can't wait to hear more about it! I definitely fall into the 'wardrobe crammed yet nothing to wear' category; I've got about five pairs of heels I can't walk in yet hardly anything suitable to wear for work! Also I buy lots of jeans that never see the light of day. And don't let me near a Primark, I've still got items not even worn yet... oops! I loved reading this post. My latest rule that I'm actually sticking to is 'don't buy it unless you'll never want to part with it' meaning I'm buying a lot more staples as opposed to things that are in trend for a few months. It also means I'm paying a lot more attention to the quality as I can't have it falling apart. Ohh this is such a good idea. I absolutely love your style and I'm looking forward to seeing which pieces really catch your eye and count as one of your 6! Ahh good luck! I definitiely agree that basics are absolutely perfect for you :) I think that my style is like a mix of both fast fashion and staples. Agree with the comments above. This is a great goal, and good luck, Josie. I don't know if I could do it coz I go through phases where I don't buy anything for a long time, then go crazy in one go. Let us know for sure how the whole thing goes for yah. 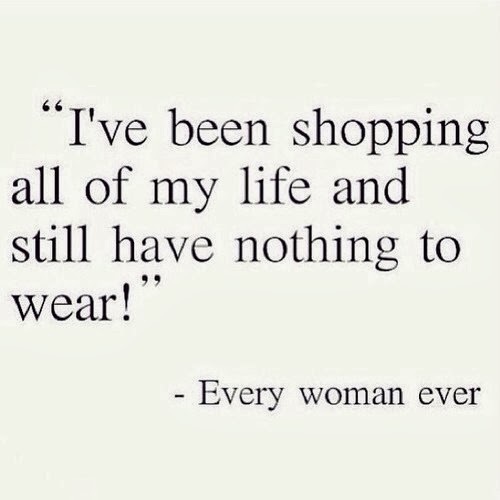 I'm the exact same - I have 2 wardrobes packed full and about 1 and a half of these wardrobes is filled with sale buys or things I've bought thinking "well if I ever get invited to a ball I can wear this" hehe or something along those lines. :) I've already went a bit crazy in the sales but this time it was things I wanted to buy when they were full priced and then thankfully they went down in price. 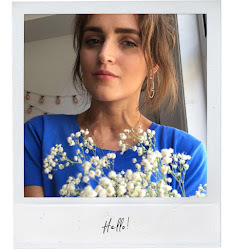 I can't wait to see how you get on with this and I'd also love to see a post on where to get the basics as I normally tend to get all my basics in H&M and would quite like to branch out from the same styles etc. Very great post and I love the quote, it´s so true! This is really interesting I'm excited to see how you get on! This is such a good idea, can't wait to see how you get on! :) I might have to give it a go too..
Best of luck! I always see something that I like and it's almost always an impulse buy! I justify it to myself by saying that it's cheap but honestly, I've got wayyyy too much things! I really look forward to seeing how you do on the 5 Piece French Wardrobe challenge! I am also worried about going overboard and buying too much... we will have to hold each other accountable! I think that this is such a cool idea. Sometimes people get so caught up with having so much stuff we fail to see the potential of things right in front of us. I'll have to try this approach out.